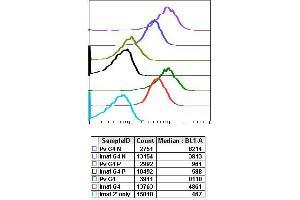 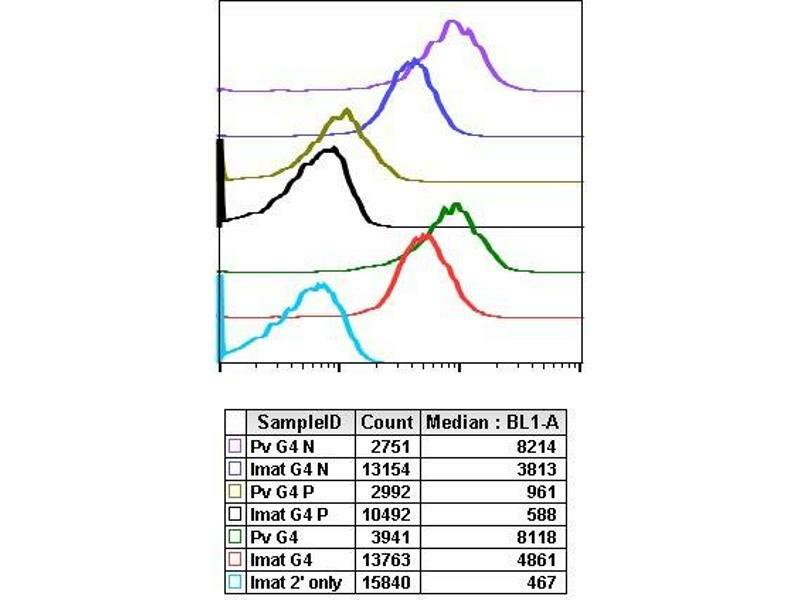 Flow cytometric analysis of C6 cells secondary antibody only negative control (blue) or treated with imatinib (red) or with pervanadate (green) using Phospho-Ask1 (Ser83) antibody Ask1S83-G4 at 1ng/mL. .
Western blot analysis of C6 cell extract treated with imatinib or treated with PV using Phospho-Ask1 (Ser83) antibody at 0.01 µg/mL. 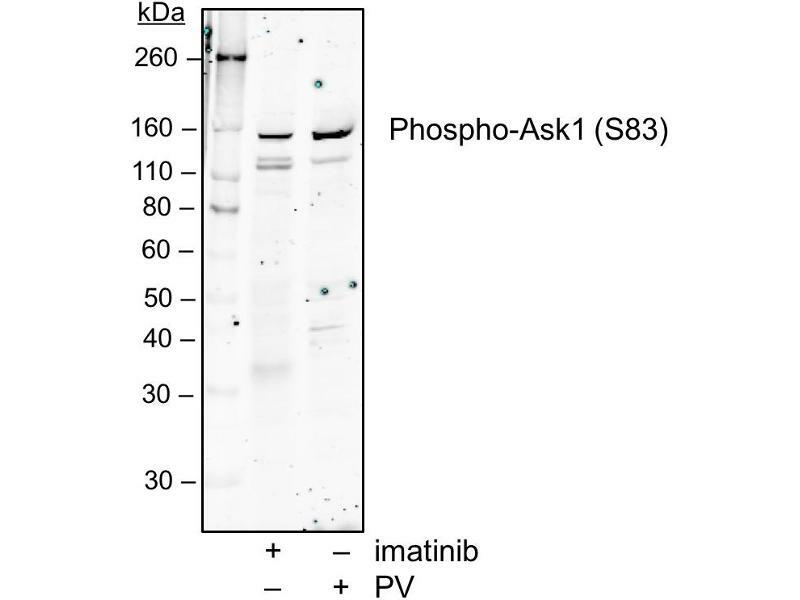 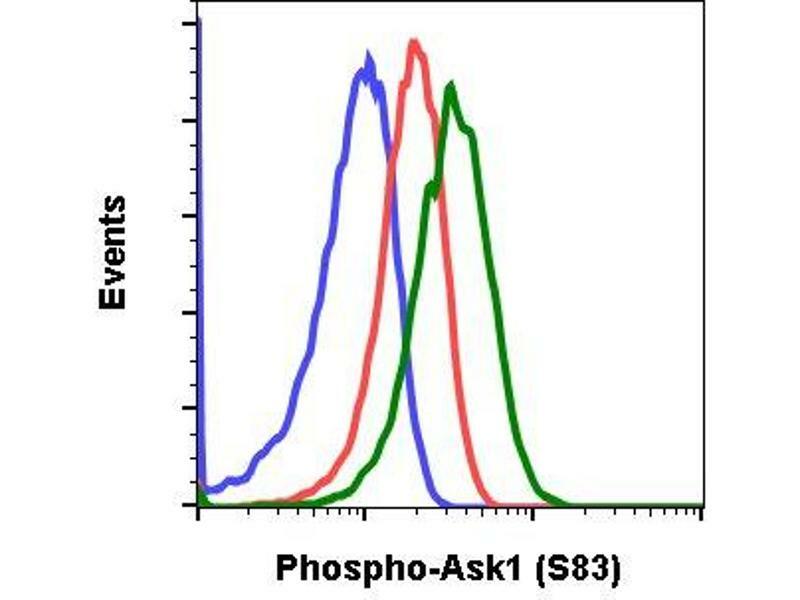 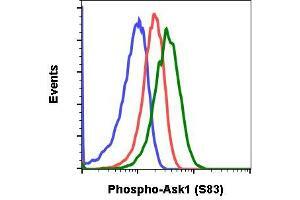 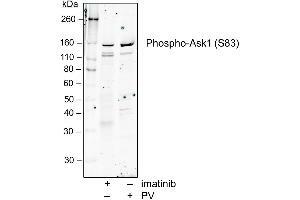 Ask1S83-G4. .
Peptide blocking flow cytometric analysis of C6 cells secondary antibody only negative control (light blue) or imatinib-treated (red) or pervandadate-treated (green) or imatinib and blocked with phospho-peptide (black) or pervanadate and blocked with phospho peptide (gold) or imatinib and blocked with non-phospho peptide (dark blue) or pervanadate and blocked with non-phospho peptide (purple) using Phospho-Ask1 (Ser83) antibody Ask1S83-G4 at 1ng/mL. .
Cross-Reactivity (Details) Predicted to work with mouse, rat and other homologues.